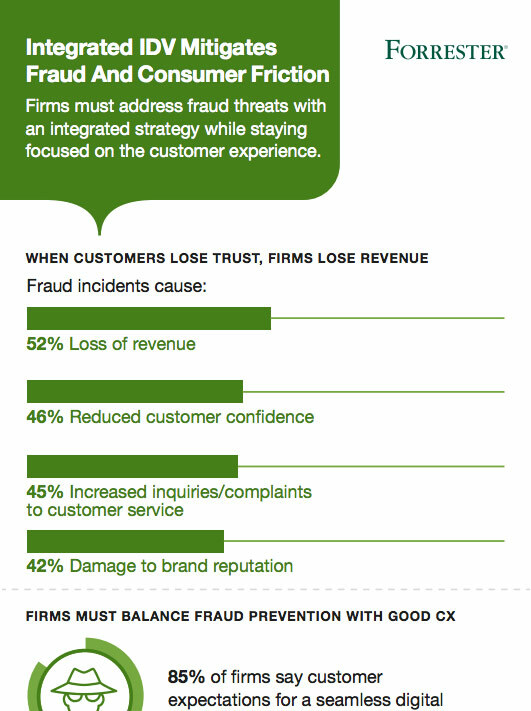 Forward-thinking firms must address fraud threats with an integrated strategy while staying focused on the customer experience. Forrester surveyed 204 decision makers in fraud management, authentication, and customer experience to learn the fraud management strategies that strike the right balance. Download this infographic to learn more about how financial services, retail, insurance, and contact center organizations are successfully balancing fraud prevention and the customer experience.